The HyipNews team is pleased to present the readers with the new Hyip added to the listing CryptoVilla, publishing the short presentation of the hyip to make the potential investors acquainted with the program and its terms, which may become suitable for funds depositing. The program has been added to HyipNews one days ago. According to the legend CryptoVilla is offering an algorithmic blockchain solution for new level booking experience. At the moment Cryptovilla owns several high-class lodgings that already available to rent. CryptoVilla invests funds raised during ICO in acquiring high-class villas and apartments. The CryptoVilla initial token sale crowdfunds in order to acquire lodging properties around the world providing utility for token holders to book their stays at these villas and high-class apartments. For us it’s an instrument to kickstart CryptoVilla’s property catalogue. Also it is the first official engagement between the community and CryptoVilla. Unlike the other modern projects who starts ICO to raise funds for the development of a platform we provide investors fully functional system from day one and all funds raised during the ICO will be invested in acquiring high-class villas and apartments. CryptoVilla allows Hosts, Investors and Guests to control everything listed below in one place with the help of the unique two-token mechanics. • trade BTN on built-in Exchange. From the security point of view, the website is protected with the Extended Validation (EV) SSL certificate with the Green Bar shown in the browser. cryptovilla.io resolves to 51.68.52.152 The server type is nginx. The certificate issued by GeoTrust should be trusted by all major web browsers (all the correct intermediate certificates are installed) and expires in 681 days. The hostname (cryptovilla.io) is correctly listed in the certificate. 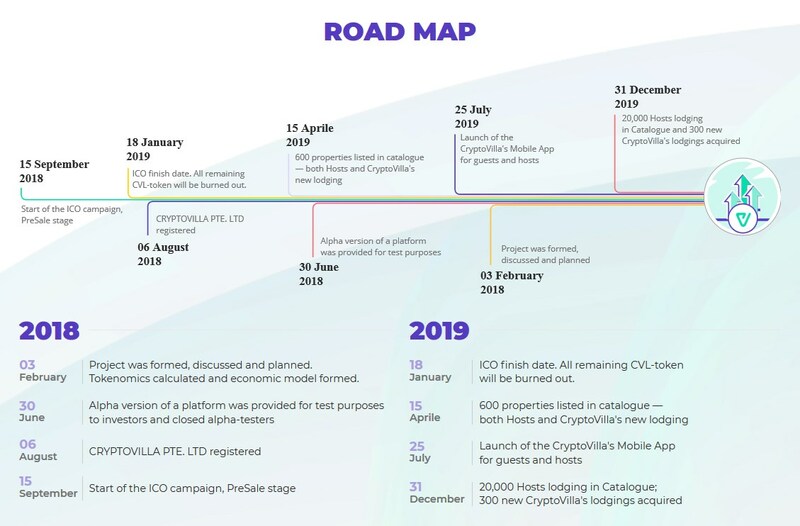 If you are interested and considering joining the CryptoVilla official website, take your time to follow the link above for more information.